Tea has become a very British beverage over the last century. However, tea was introduced in England much after it was discovered and put to use as a drink. It was introduced in England, for the very first time sometime between 1652-1654. 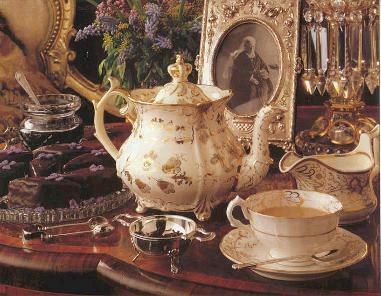 However, it was during the Victorian era that tea became very popular. In fact, it became so widely liked that ale was displaced as the most favourite of all beverages and tea reigned supreme. During the time of Queen Victoria, there was a lady in waiting, Anne, the Duchess of Bedford. The meals in England consisted of a huge breakfast, slightly lesser lunch and dinner. After lunch, the duchess would ask her maids to get her some tea and little cakes to go with it. She drank it in solitude at first. But later, she began inviting her friends and other ladies to join her in partaking of this brew. This became so well liked that the duchess carried on with tradition even after going back to London. Hence, the institution of afternoon tea was established. The drinking of tea led to the birth of a thing beyond a mere habit or addiction. It became a culture. Tea rooms mushroomed all over the place, private teas and teas in hotels were in demand. Tea dances were held as meeting place for potential match making and also so that young men and women could interact with each other. Seeing this, other ladies began emulating her and very soon, they were all being invited and in turn inviting women for afternoon tea. This practice has been established as a social custom in most parts of the world today. There were two kinds of tea services, namely, high tea and low tea. The upper echelons of the British society took Low tea. This meant that the tea was accompanied by small snacks and not proper food. Low tea meant more conversation and less food. In contrast to this, the high tea was partaken by the lower classes of the British society, which was accompanied by a proper lunch. 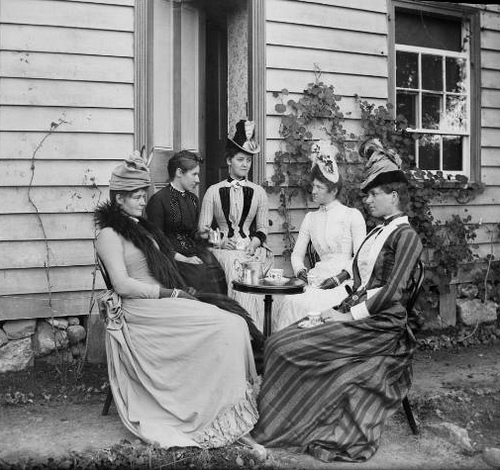 The practice of drinking tea, during the Victorian era was interspersed with garden teas and promenades around the estates. Social dictates were relaxed slightly in these gatherings. Tea helped bridge the divide between genders and different parts of the society to a small degree. Funnily though, initially, the expression taking tea was only employed by the lower strata of the society and looked down upon by the wealthy aristocrats and the royals. The latter part of the Victorian era saw the industrial revolution take off in full swing. The workers, after coming back home tired, would want something refreshing and light. They would be hungry as well, so bread, meat, fruits and vegetables were also served along with the tea. Hence the term, High tea was coined then.